In June, 2015, Fibuspam hosted a collaboration of a team of students and leaders from Renbrook School in West Hartford, CT, a team of physicians from Vision Health and contributed its own medical team and facility. The result was a remarkable week of humanitarian work with stunning results. The Renbrook team worked to rebuild stairways and walkways for handicapped students at Instituto Carlos Garbay. 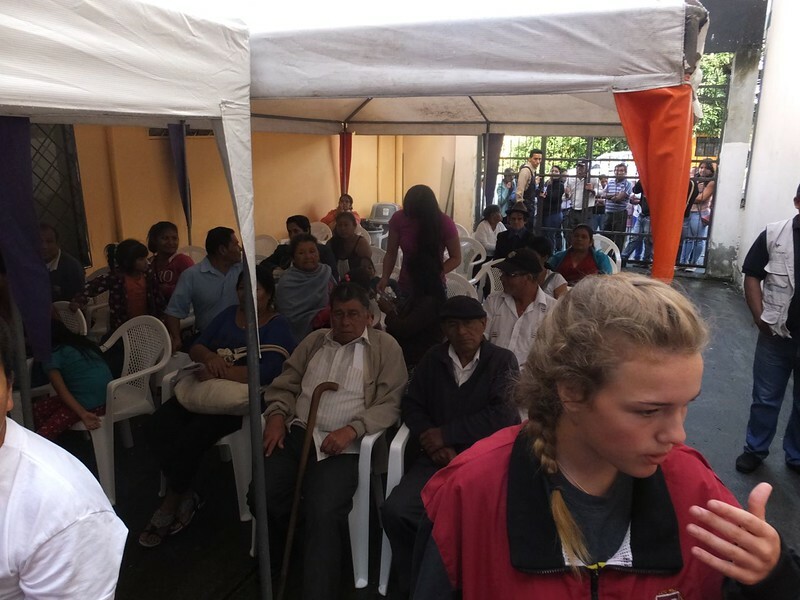 The Vision Health International team did vision screenings for over 500 children and adults in Macas and Riobamba, gave out hundreds of pairs of glasses and will provide over 100 more to needy children and adults. The team identified 80 surgical candidates and, working with the staff at Clinica Fibuspam, completed 21 surgeries during the week. Over 100 dentistry cases were completed in Macas and Riobamba. Lastly, again with the help of the Renbrook team, a final caravana on June 20th brought medical care and dentistry to over 200 children and adults in the remote community of Cani.